After several weeks of working my rear end off recipe testing, photographing, editing, designing, and proofreading, SPK’s Pumpkin Lover’s eBook is complete. This eBook is a *FREE GIFT* I am offering to all of my past & future e-mail subscribers, and it will remain *FREE* for-ev-er. 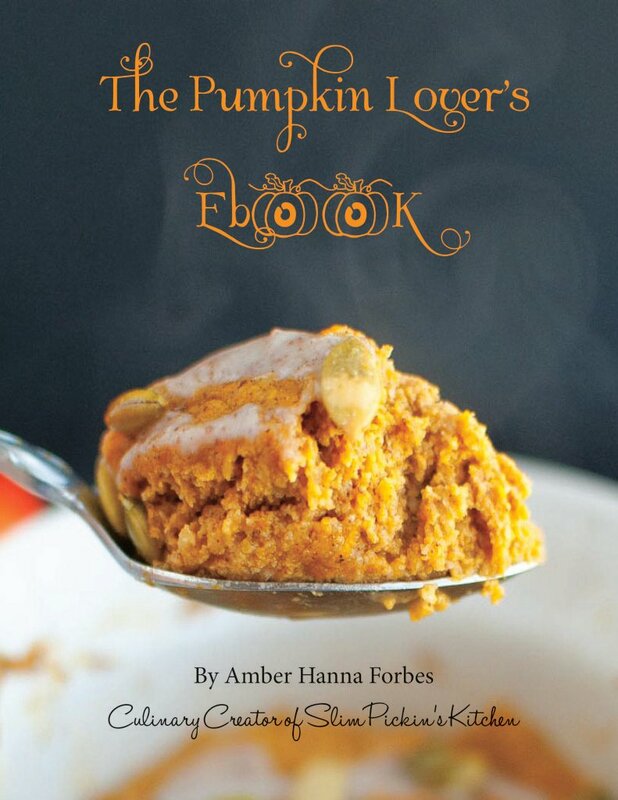 If you have already subscribed to receive new posts from Slim Pickin’s Kitchen then you should automatically receive your copy of The Pumpkin Lover’s eBook at some point today. If you haven’t already subscribed, click here OR insert your information in the grey sign up box on the right hand of the screen in my side bar. Be sure to click the link in the e-mail you are sent in order to cofirm your subscription. As soon as you click through all of the e-mails and CONFIRM YOUR SUBSCRIPTION a final e-mail with the download link to the eBook will be automatically sent to you. Lastly, I want to hear back from you and see what you’re making! Be sure to come back to the blog and leave me comments on what you have tried OR follow me on Instagram and use the hashtags #slimpickinskitchen #pumpkinloversebook #spkpumpkinlovers or #pumpkineater. If you aren’t on Instagram, send me a picture of your creations on Pinterest, Facebook, or Twitter. Thanks so much again, y’all, for all of your support. I LOVE YOU SO MUCH!